Why Choose our Sequim Cottages for Your Getaway? 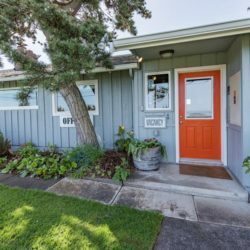 It’s true that there are plenty of wonderful places to stay in the greater Sequim area, but none quite match up with the serenity and location of the Dungeness Bay Cottages. Our Inn consists of many separate, charming, and rustic cottages, nestled up against the pristine shores of the Strait of Juan de Fuca with our own private beach. 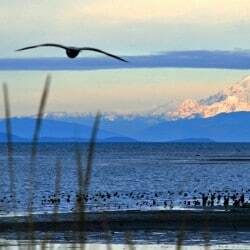 The cottages are just minutes from downtown Sequim and the popular Dungeness Bay Wildlife Refuge. But your stay is about more than the accommodations, and even the hospitality. What you’ll find here is an experience; one that is reflective of the wild spirit of the Olympic Peninsula itself. Our Sequim Cottages are situated just minutes from all there is to enjoy in downtown Sequim, including fine dining, great shopping, beautiful beaches, and abundant recreation in the mountains of the Olympic National Park and Olympic National Forest. From here, your options are endless. Nature lovers won’t want to miss kayaking just off our private beach, or exploring the Dungeness Bay Wildlife Refuge, which offers breathtaking views of the Straits of Juan de Fuca and Mt. Baker in the distance. There’s a 5 mile journey down this amazing beach, which is filled with a unique array of wildlife, and which will take you to the historic Dungeness Lighthouse. Plan a little escape this fall at our beachfront Sequim Cottages. You won’t regret it! Book your room today.